Nancy Jean-Pierre speaking on the last day of her training on how much she’s learned. The Haitian town of Dessalines sits in the middle of the country’s northern Artibonite Department. Spread out over 460 square kilometers the rural countryside around Dessalines is home to just over 12,000 people, as well as two of the 25 schools participating in a digital literacy program funded by the Intel Foundation. Launched by Inveneo and NetHope, Digital Literacy for Haiti Rebuilding (DLHR) offers basic computer training in Haitian communities like Dessalines and provides schools with the resources to continue the courses once the program ends. To date more than 500 people have taken part in the training, nearly 60 percent of whom have been women. Nancy Jean-Pierre is one of these women. 20 years old, single and without children, Nancy was among the 27 attendees at the program’s first course given earlier this month at Institution Jean-Jacques Rousseau. In 2012 the school received a solar-powered computer lab as part of Inveneo’s Haiti Connected Schools program and is one of the many sites that DLHR uses as community training centers. Having not yet passed the state exams, Nancy’s still considered an 11th grade student. Nancy believes technology has the power to change her own life as well as the lives of people in her community. Dessalines may by a rural farming center, but there is overwhelming interest in learning how to use computers and the Internet. Farmers and businesswomen alike have taken the course, wanting to stay current with technology to make sure they’re not left behind. They hope that their experience learning to use computers will open their eyes to better ways to do their jobs and run their businesses. Younger participants are considering entirely new career paths focusing on IT. The standard computer course involves 24 hours of class time and covers computer fundamentals (mouse, keyboard, etc.) and the basics of Microsoft Word, email and the Internet. Two sections of twelve students each – one in the morning and one in the afternoon – ensure that 24 participants get hands-on training with computers throughout the entirety of each course. And while providing substantial benefit to participants, the courses are also proving to be economically sustainable. Attendees at Institution Jean-Jacques Rousseau paid 400 HTG, the equivalent of roughly US$10, for the full course. Future classes – which are already filling up – are being offered at 750 HTG. With the course fee that the schools collect, they can pay for trainers, Internet connectivity and ongoing maintenance of the lab. “I can type and format all kinds of texts. At least I can work as a typist now and I will make some money. I know how to do research on the Internet, which I think is very important for everyone because here we do not even have libraries. But with the Internet, we can find information about everything. Inspired by the patience and teaching skills of her instructors, Nancy offered to assist in future classes at Institution Jean-Jacques Rousseau. In response the school has agreed to hire her previous instructor and to bring Nancy on as an assistant. 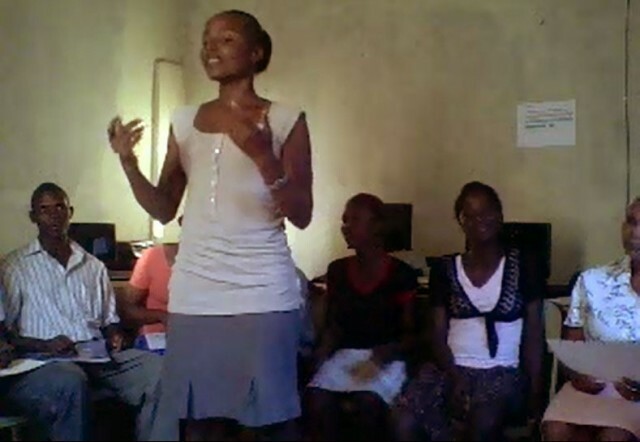 Nancy will have access to technology, mentorship of her instructors and the possibility of a small salary. Rigaud Bel, one of the program’s community IT instructors, hopes to help Nancy develop the confidence needed to take over the course entirely, teaching future classes on her own. Women like Nancy are inspiring examples of how DLHR is changing lives. With more than 500 past participants and another 200 women expected in the coming weeks, schools are looking to expand their programs to include courses in Microsoft Excel and advanced Internet usage. With these skills women coming out of the program will be able to do more than simply compete in Haiti’s emerging job market. They’ll know they’re not alone, and they’ll be able to stay connected online where collaboration, sharing and learning continue to thrive. 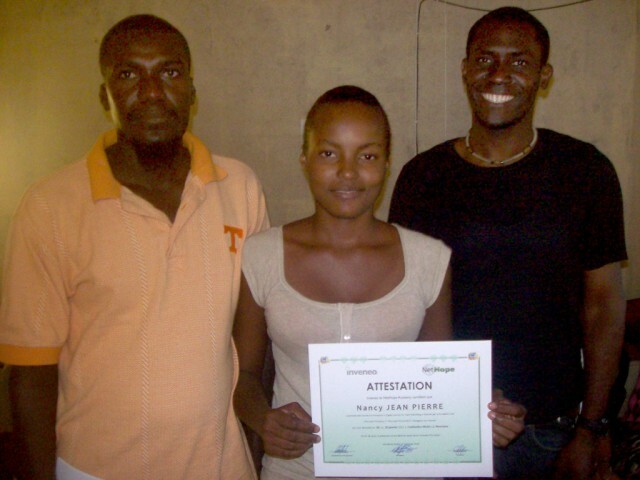 Michelet Guerrier is a project manager for Inveneo working in Haiti. Three years ago, the Digicel Foundation rebuilt a school in Saut D’Eau, Haiti, replacing a simple shack with a real school building. This effort was one of many projects by Digicel Foundation to build communities and the community spirit in Haiti. The Digicel Foundation has built 37 schools in Haiti since 2007 with a further 22 schools under construction. The Digicel Foundation aims to complete 50 schools in time for the new school year in September. The children of the Saut D’Eau school are also building their own education, with technology. Inveneo and Digicel Foundation installed a modern computer lab with Inveneo High Performance Computing Stations and Internet access through a donation from the friends and family of Digicel colleague Jean- Marc Le Hir who died on 12 January 2010. 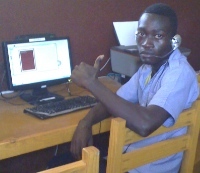 “The community of Saut d’Eau is proud to have its own computer lab. Indeed, it is the only one that exists throughout the area. Also, we offer the opportunity, not only to our students, but also to the youth from other schools of Saut d’Eau to benefit from this facility. 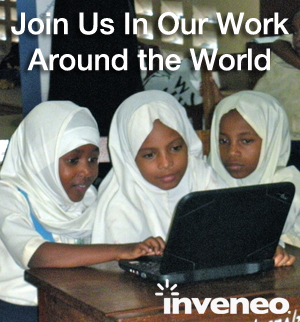 This computer lab is also another step in Inveneo’s efforts to build Haiti back better. We are working with organizations like Digicel Foundation to increase the educational experience of Haiti’s children, arguably some of the most underserved in the Western Hemisphere. In the Kiziba refugee camp, in the Western Province of Rwanda, Sister Irene Guia is making a difference in the lives of thousands. As Country Director for the Jesuit Refugee Service in Rwanda, Sister Irene is responsible for the formal education of primary and secondary students (8,400 and 1,400 respectively) at Kiziba and the refugee camp of Gihembe, each of which houses more than 18,000 displaced residents of war-torn Congo. She also oversees projects for youth who have abandoned the school system. Sister Irene is a driven and passionate humanitarian with a clear vision of how to make life better for all in the camp. When it came time to put the next part of her plan into action – to build a computer-learning center in each camp that could be used to help teach young people basic computer skills – Sister Irene approached it with the same attitude. She insisted that best way to improve the lives for people in the camp was to teach them basic job skills and then have them teach others. With basic education and computer training, she hoped to help many of these refugees make it out of the camp and make lives for themselves. She also hoped to give them a taste of the outside world and a chance to communicate with their peers outside the camp. For the first phase of the project, Sister Irene wanted to open one computer center at Kiziba in time for the beginning of the new school year in August. However, having never attempted to pull off a project quite like this before, she did not know where to start or who to turn to. She put out a call to her colleagues in the region and learned about a project that Inveneo had been involved with the prior year. After exchanging e-mails with Inveneo Project Manager Jessica Santana, it was decided that the Kiziba project would include the installation of 14 new, low power computers networked together with a central printer along with a reliable generator as the power source. Refurbished computers were not an option because they were unreliable, and they needed something sustainable to work with inconsistent power in the camp. Inveneo introduced Sister Irene to Johnny Kayihura from Rock Global Consulting, one of Inveneo’s certified ICT partners in Rwanda, who led for the installation project. 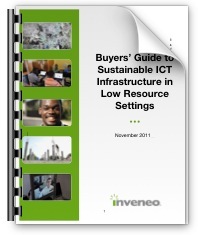 With close oversight from Sister Irene, Rock Global and Inveneo quickly jumped into action. They had just two months until the opening of classes, and had a lot of work to do. First Inveneo had to deliver the hardware, then Rock Global had to perform the install and make sure everything was up and running for the students. By August, the project at Kiziba was completed and the camp had its first computer-learning center. Almost immediately, students and teachers began taking advantage of the new technology, and Sister Irene reported nothing but smiles from each and every one of them. This past December, Sister Irene began training 85 teachers on basic computer literacy. During the holidays, small groups of teachers attended five hours per week of training each. Currently, Sister Irene, Johnny, and Inveneo are already hard at work to complete a second computer center at Gihembe, set to be finished in early 2009.